One of the many reasons that I love Kyoto is the sheer amount of history that you can discover on almost every street and slleyway. Not just the kind of top-down history that you normally encounter, in the form of impressive palaces and places of worship, but quiet signs of things that have outlasted wars and disasters for generations. This is one example. Yuzu miso is a sweet, fragrant concoction of white miso (usually Saikyo miso if it's made in Kyoto), grated yuzu zest and various other ingredients. Traditionally used as a sauce or topping on dishes like furofuki daikon (simmered daikon radish), it's also a great all-around condiment. One of my favorite ways to enjoy yuzu miso is spread thinly on buttered toast. Yaosan is a maker of yuzu miso that has been in business in Kyoto since 1708. 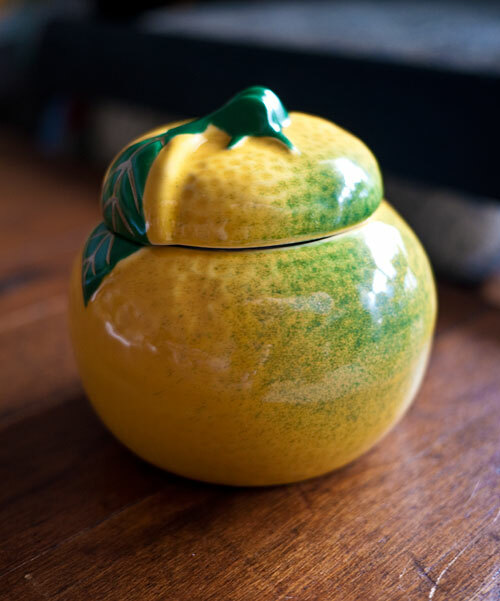 Although there are other makes of yuzu miso in Kyoto and elsewhere, Yaosan is particularly famous, in particular because of their colorful yuzu shaped ceramic containers. The container, which is rather like a Japanese version of majolicaware, comes in 3 sizes, packed with yuzu miso of course. You can bring in your empty container to the store and have it re-filled with fresh miso. 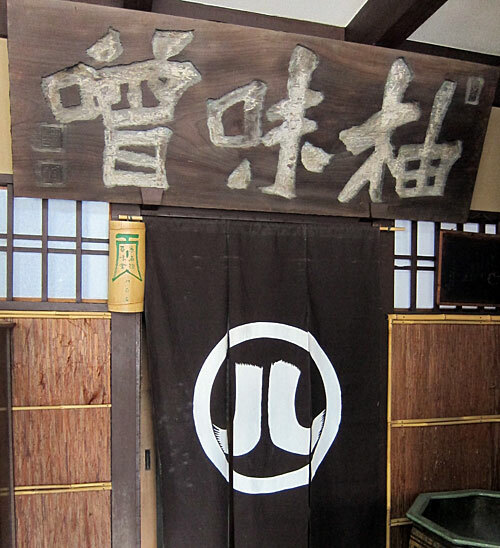 Yaosan is a shinise (a long-established business) with a vengeance. It has managed to stay in business for more than 300 years doing just one thing: the making and selling yuzu miso. (It is all made locally, in a outlying area of Kyoto called Mizuo). Yaosan is marked on my Maki's Kyoto Destinations map. Kyoto addresses can be a bit difficult to locate, but Yaosan, despite its tiny size, is famous, so just ask the hotel staff. In the Tokyo area, Yaosan also periodically sells its yuzu miso at Takashimaya in Nihonbashi or elsewhere (such as Yokohama and Tamagawa), though they rarely sell their yuzu shaped containers anywhere but at the Kyoto store. The yuzu miso filled ceramic containers start at around 2100 yen for the smallest size. You can also buy the miso alone starting at 850 yen for 130g. Submitted by maki on 2011-10-03 14:35. As 'the good stuff' is only available at a few mail order stores, in the US, I was lucky to find a White Miso I really like. It is by 'Mitoku Macrobiotic' called "Marukura Organic White Miso " made by the Okada family. To cut down on shipping I buy 2 plastic pouches of 2.2 lb at a time. So, plastic bags are not exactly elegant whereas these pots do look much nicer. Any idea where one might purchase these pots, mail order to the US? After eating the Yuzu Miso I will have a good storage pot for my packaged stuff. I also buy the Hatcho Miso from the same company but must confess I am not 'Shogun' That stuff is powerful! I process it with cashews and use it as a spread, but it is still...robust! They do not even sell the pots via mailorder within Japan, so it's highly unlikely they'll sell them in the U.S. Small, old establishments like that are like that sometimes. Gorgeous! There's a place in my town that has yuzu miso ramen--I didn't realize it came that way and wasn't a combination of discrete elements. I love the flavor so much! Thanks for the photos and the education! I love it that there is a word in Japanese for long-established small businesses. It is a shame that the US doesn't treasure its own mom-and-pop shops and instead homogenizes everything. Still, in big cities, some of those businesses hang on and even thrive. Your photo reminds me that I actually have a half dozen living, growing yuzu fruits ripening up in the lobby of my workplace. The remarkable thing is, this is in the mountains of West Virginia. I've never eaten an actual yuzu, and was unable to find them in DC area groceries, but was able to find yuzu plants, and decided to grow my own. Quite the challenge in our climate. where did you obtain the plant? I'm interested i growinh one myself. Thank you. I love the combination of miso and butter! I am a great yuzumiso fan and this brought back memories of living in Japan. What a pretty container! Yuzu miso sounds yummy. Kudos to them for keeping that a Kyoto store exclusive item. As much as I like to shop on the web and get items from all over the world, it just can't compare with the experience of buying an item like this on a visit to a small artisan shop. I saw similar containers before, didn't know what they were for. Are they really rare or old fashioned, or are decorative ceramic miso containers like this still relatively common Maki-san? (not necessarily to buy online - I don't remember seing any, but in big surfaces or tableware/kitchenware stores in Japan. A japanese woman in Montreal offers a really good shopping service. The small exquisite container with yuzu miso sounds delicious! Since we can't get it here maybe we can try to make something similar at home? Do you think lime would work or would that be too tart? So this actually brings to mind another question. 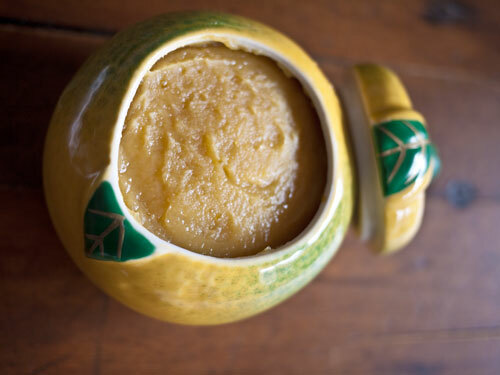 How and where do you store your miso? Last week I visited Yaosan. Incidentally, despite its fame, staff as Karasuma-oike Station hadn't heard of it! The lady at the store told me not to store it in the fridge or it'd go hard. You're right though, it is delicious on toast. Especially with some black tea to go with it. I'm not sure what else I'll be able to use it in, but it is delicious and thank you for the recommendation!